Amazon’s voice assistant Alexa will gain more human-like speech capabilities with new Speech Synthesis Markup Language (SSML) features. The company announced last week that developers in the UK and Germany will now have SSML support for what Amazon calls speechcons. Speechcons are an extensive list of words and phrases that can be delivered by Alexa in a more lively, expressive way. For instance, in the UK these phrases will include regional specific terms like “Blimey” and “Bob’s your uncle.” US developers have had access to speechcons since February. Whispers– Convey a softer dialog with <amazon:effect name=”whispered”>. Expletive beeps– Bleep out words with <say-as interpret-as=”expletive”>. Sub– Use the <sub> tag when you want Alexa to say something other than what’s written. 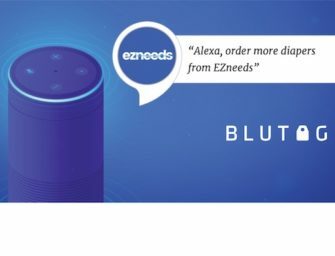 Emphasis– Add <emphasis> to change the rate and volume at which Alexa speaks. Prosody– Use this tag to control the volume, pitch, and rate of speech. These features give developers even more tools to provide a more natural voice experience for users on Alexa. And if widely adopted, will allow Alexa to become a more vibrant, personable assistant for Amazon. The company needs these kinds of new features to be put to use in order to keep Alexa at the forefront of virtual assistants. Especially considering Google Home now knows exactly who is talking.